Leather seats are hot in summer and cool in winter months. Why do the majority of customers that buy cars want leather? Is the leather smell what attracts the buyer to leather interior or the fact that having leather seats will increase the resell of their vehicle? Whatever the reason is, if you purchase a car with leather seats, proper leather care will keep the look, feel and smell of new leather. With today’s hectic schedule of work, hauling the kids and eating on the run, undoubtedly spills and stains happen. 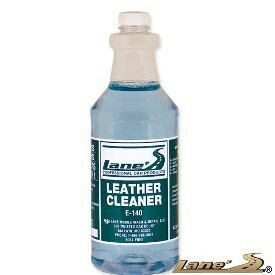 Now you can remove stains, dirt, oil and grime with Lane’s auto leather cleaner, guaranteed to save you time! Each month we are faced with cleaning the dirtiest leather seats. Without Lane’s auto leather cleaner, that would be impossible. If you have a new or used car with leather seats feel confident you can achieve professional results with Lane’s car leather cleaner.